ON THE HOUSE: Clive Palmer could chase a Senate seat if he were to face losing his lower house seat at the next general election. 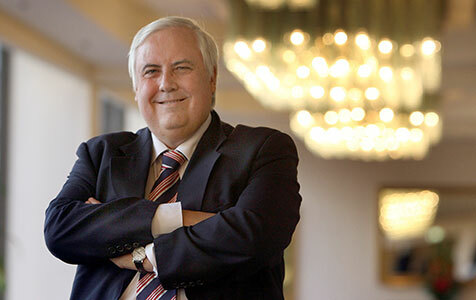 Big-spending Clive Palmer can go on to play a much bigger role in political outcomes. There seems to be much bemusement about the recent outcomes of both the 2013 Federal election and the more recent rerun of the WA senate poll particularly the strong and unexpected support for the Palmer United Party and the smorgasbord of micro-parties. Some of the major party spokespersons have even suggested that something is amiss in the political process as a result. But, in my opinion, those critics have missed the essential message that the electorate is sending. That message seems to me to be: "we're fed up with the arrogance and the antics of the major political parties - we want something different." The electorate may not be quiet sure what that something is but it does seem to be saying that it doesn't like what its been getting lately. Some voters have clearly decided to give Mr Palmer and his team a try to see if he and they can do any better. Many others are still unsure and have opted instead for an alternative which more closely reflects their own particular idiosyncrasies and belief systems. By way of demonstration, I was fiddling with a spread-sheet analysis of the WA senate election count as it stood as a few days ago (15th April 2014) and noted that the combined Labor Green primary vote almost equalled the combine Liberal National vote at a tad over 37 per cent. The remaining quarter of the primary vote was split almost evenly between the PUP and the abovementioned smorgasbord of parties. To me, this suggests that there is nothing particularly wrong with the way the electoral system is working even if the major parties don't like what the electorate is saying. True, the ballot paper may be getting a bit unwieldy and maybe some refinement could be useful in remedying that. But I think that the essential message should not be allowed to be stifled in any such remedy. The point to be emphasised here is that the major parties have simply become too arrogant. They are not listening to their political masters and mistresses - we, the people. They have developed a sense of entitlement and as we have all been recently reminded, the age of entitlements is over. So even if Mr Palmer and his team do not turn out to be the solution that much of the electorate is hoping for, there is, undoubtedly, some other charismatic potential leader out there in smorgasbord-land who is capable of marshalling the remain dissidents into a viable political force. The opportunity to do so certainly seems to be there.